A senior marine scientist with research interests in coastal ecosystems and human impact on coastlines is being named the associate director of Mississippi State University's Northern Gulf Institute. Just Cebrian, a former senior marine scientist with the Dauphin Island Sea Lab, which is an NGI research partner, will serve as the science lead for a group of MSU employees supporting the National Oceanic and Atmospheric Administration's National Centers for Environmental Information. He also will work as an MSU research professor. NCEI hosts and provides public access to one of the world's most significant archives for environmental data. Cebrian will collaborate with an array of NCEI scientists who have various expertise in the coastal and marine ecosystem and oceanographic research. NGI operates under the umbrella of MSU's Office of Research and Economic Development and is a NOAA Cooperative Institute, a partnership of six complementary academic institutions and NOAA addressing important national strategic research and education goals. Mississippi State leads this collaboration, partnering with the universities of Southern Mississippi and Alabama-Huntsville; Louisiana State and Florida State universities; Alabama's Dauphin Island Sea Lab; and NOAA scientists at various laboratories and operational centers in the Gulf of Mexico region. For more, visit www.ngi.msstate.edu. "We look forward to Dr. Cebrian's leadership as he and the NGI team and our partners with NOAA make important new discoveries and gain a better understanding of the ocean's role in climate change, coastal ocean processes and how humankind is altering coastal marine ecosystems," said David Shaw, MSU vice president for research and economic development. Cebrian has studied coastal ecosystems for over 20 years and has authored more than 141 scientific publications. 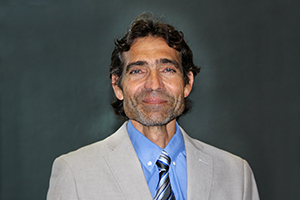 His extensive research background includes his doctorate work on coastal ecosystems of the Mediterranean coast, with an emphasis on seagrass beds; post-doctoral work on sediment flats and marshes and how humans impact the functioning of coastal systems in New England. His current research focuses on shorelines, marsh ecosystems and sea-level rise with more than $4 million in total projects funded by agencies such as NOAA, the U.S. Fish and Wildlife Service, and the Environmental Protection Agency. Robert Moorhead, NGI's director, said Cebrian's expertise will help cultivate new partnerships among oceanographers working in different disciplines and will be an important advantage over the next decade. "His leadership and marine science research experience will help us provide important answers to practical questions about the impacts of reliable forecasts of sea-level rise to coastal communities, understanding coastal development and its impact on fisheries productivity, and the movement of pollutants all of which have immediate societal applications with high stakes in saving the environment and human life," Moorhead said. Before joining Dauphin Island Sea Lab in 2000 as a senior marine scientist and professor of marine sciences, Cebrian worked as a postdoctoral associate at Boston University. He earned his Ph.D. in marine sciences at the University of Politecnica Catalunya in Barcelona, Spain, a master's degree in oceanology at the University of Perpignan in southern France, and an undergraduate degree from the University of Barcelona. "I think the time is ripe to implement a science plan at NCEI that will complement the important tasks of data assembly and stewardship. Arguably, good management products should be based on solid, peer-reviewed science. Within the NOAA mission, science activities are conducive to robust products, capabilities, and tools that aid in the management of coastal resources", Cebrian said. "My role is to catalyze the connection between research and management product development for the benefit of MSU, NOAA, and NGI. This will be an unprecedented opportunity for NCEI MSU employees to combine and/or facilitate research with their current data assembly and stewardship activities, thereby helping to create a model of how science can be applied to resolve pressing management needs", he said. From the depths of the ocean to the surface of the sun and from million-year-old ice core records to near-real-time satellite images, NOAA's NCEI is the nation's leading authority for environmental information. The organization preserves, stewards and maximizes the utility of the federal government's billion-dollar investment in high-quality environmental data.